Last week, Mission Motorcycles president Mark Seeger sat for an interview with Wired where he offered some more details on what riders could expect from the upcoming bike. "We want this to be the best of the best," Seeger told Wired, "Something really exclusive." 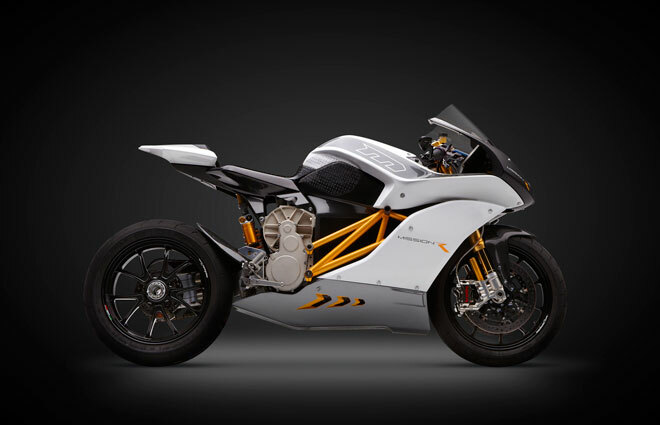 The bike that Mission Motorcycles will be releasing runs on a 160-horsepower electric engine that generates 120 lb.-ft of torque. It takes less than three seconds to go from 0 to 60 and has a top speed of 150 mph. The battery that powers the bike promises to deliver a driving range of 200 miles and can be fully charged in approximately two hours. Seeger also helped clarify the relationship between Mission Motors and Mission Motorcycles. "There's a lot of symbioses there, as implied by the name," Seeger said. "But Mission Motorcycles is focusing on the bikes. It just happens that we're buying [Mission Motors'] powertrains and they're customizing it for us." In addition to being an insanely powerful racing bike, the Mission motorcycle is also packed with cutting edge tech. The onboard computer is powered by MissionOS, which riders can access through a seven-inch touchscreen display. LTE is built in and riders can use the display for everything from metrics to navigation.